With news of US mobile carrier Verizon possibly beating South Korean players in launching the world’s very first 5G mobile service next month, speculations have run amok over whether local telecom companies will hasten their releases despite regulatory and technical hurdles. In a statement released Wednesday, Verizon said it would start offering 5G service in parts of Chicago and Minneapolis on April 11. The company said the service will cost consumers $10 a month more than previous generation’s 4G service. The decision immediately flustered the related industry here that has been hyping up its prescient title as the world’s first operator of the next-generation wireless network. It also further discouraged 5G excitement here already dampened by the delayed March deadline due partly to ongoing discussions on rates. Industry watchers said, however, while a commercial 5G wireless network will not be available until the end of this month, it is very much likely that the mobile service will be delivered here a few days before Verizon’s planned launch date of April 11. “Planning is underway between the government and mobile carriers for 5G commercial rollout. If it proceeds as planned, the rollout will come a few days before April 11,” said an industry watcher familiar with the government’s 5G rollout initiative. Samsung Electronics is reported to have been planning to deliver its 5G-powered smartphone to the country’s biggest mobile carrier by April 5. If Samsung’s Galaxy S10 5G passes trials for SK Telecom, the phone will become publicly available. 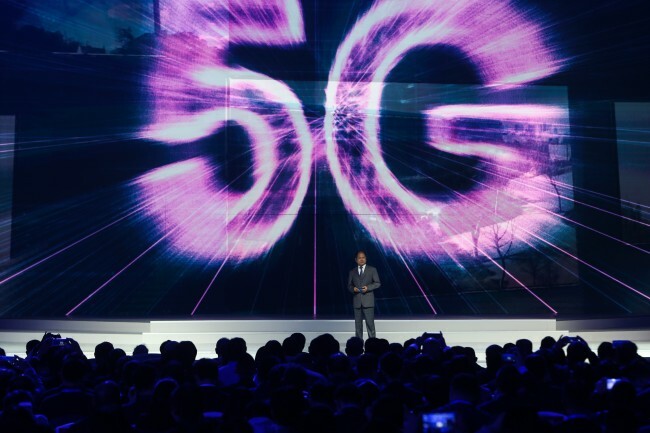 While SKT declined to reveal specific plans for its commercial rollout, industry watchers said the commercialization would proceed promptly once the telecom settles on a pricing plan for 5G-powered smartphones. As the country’s largest mobile carrier, SKT is the only carrier that must seek the government’s permission before announcing a pricing plan. Earlier this month, the government rejected SKT’s original pricing plan, saying it was too expensive and could restrict consumer choice. Korea’s plan to offer the world’s first 5G commercial service has been in doubt since the government’s postponement announcement. While Samsung Electronics and LG Electronics have showcased their new smartphones capable of using the 5G network, phone manufacturers have struggled to meet quality standards for the devices. According to industry sources, LG’s V50 ThinkQ would fail to meet the March deadline as the new phone has to wait for a new version of the modem chipset that needs to be provided by Qualcomm. Samsung, for its part, has reportedly been struggling in having its own processors pass trials. “We determined that it is much more desirable to wait until 5G smartphones’ quality will become secure,” Chun Sung-bae, who is in charge of policy planning at the Ministry of Science and ICT, said during a press briefing on March 7. South Korea has been seeking to edge out competitors in the intensifying 5G race, with global superpowers scrambling to come out on top. The hyper-speed network will be crucial to innovations, such as autonomous driving and remote medical treatment.